(LENOX, Mass.) – According to the unofficial but always reliable Bob Dylan concert website BobLinks, legendary rock poet Bob Dylan will return to Tanglewood on Saturday, July 2 at 7pm, headlining a concert in the Koussevitzky Music Shed also featuring gospel/R&B legend Mavis Staples. The concert will mark the third time Dylan has played Tanglewood, where he made his debut in summer 1991 and performed again in 1997. The date with Mavis Staples presages a U.S. summer tour by the two, who first met and performed together in the early 1960s when they played Civil Rights gatherings alongside each other. As the story goes, Dylan allegedly asked Staples’s father, Roebuck “Pops” Staples, for her hand in marriage, and was turned down. Bob Dylan’s recording career began with the release of his eponymous debut album on March 19, 1962. Since that time, he has revolutionized folk music and rock ‘n’ roll, influencing everyone from the Beatles to the Rolling Stones to the Byrds, the Band, Joni Mitchell, Neil Young, U2, Wilco, and the late David Bowie. 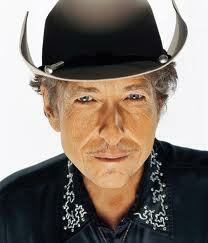 Dylan will be 75 years old when he performs at Tanglewood. His most recent album, last year’s “Shadows in the Night,” consisted entirely of songs associated with Frank Sinatra, was nominated for a Grammy Award. Dylan is said to have recently returned to Capitol Studios, where the album was recorded, to lay down tracks for a similar, follow-up album. After several albums produced by Wilco’s Jeff Tweedy, Mavis Staples released “Livin’ on a High Note” just last month. The album, produced by rock songwriter M. Ward, features songs written specifically for Staples by Nick Cave, Justin Vernon (Bon Iver), tUnE-yArds, Neko Case, Aloe Blacc, and others. This entry was posted on Saturday, March 5th, 2016 at 5:55 pm	and is filed under Blog. You can follow any responses to this entry through the RSS 2.0 feed. Responses are currently closed, but you can trackback from your own site.